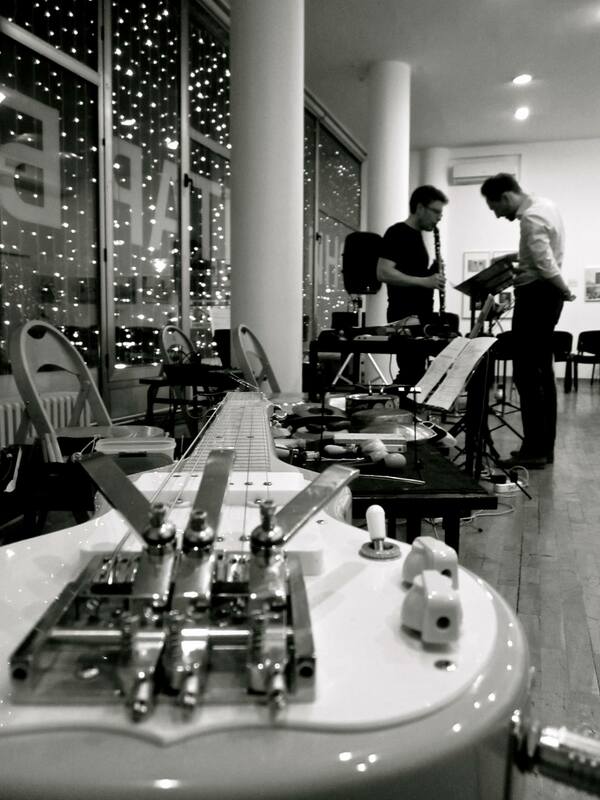 The wreck of former boundaries, for clarinet solo, is part of a larger conglomerate of works—each sharing the same title—that includes a range of solo works, small chamber works, works for electronics, and an extended ensemble work for two trumpet soloists, clarinet, saxophone, trombone, electric lap steel guitar, double bass, and multichannel electronics, ranging in duration from six to 35 minutes. The collection of works was commissioned by the ELISION Ensemble, with support from the RMIT Gallery Sonic Arts Collection. The work is closely tied to my recent fascination with curves, arcs, bubbles, and foams, and foregrounds an undercutting and liquidation of the geometric, architectural, latticed methodology that has guided most of my work to date, particularly with regard to rhythm and its notation, and to the relationship between formal design and local-level decision making. Its materials emerge out of a close collaboration with the clarinettist Carl Rosman—for whom the piece was written—and in particular from an exploration of an unusual collection of unstable and timbrally complex microtonal scales, double trills, and dyads, and their interaction with various bending, blurring, and distorting mechanisms from the embouchure. Recorded for HCR. Caerulean, Carl Rosman, clarinet. HCR12, November 2016. Recorded at Studio des Ensemble Musikfabrik, Köln, July – August 2016. Recording producer/mastering, Stephan Schmidt. Trailer video (by Angela Guyton) for the full ensemble version of The wreck of former boundaries. Carl Rosman explains the mechanics of small interval dyad multiphonics. Carlos Cordiero, clarinet. Edward M Pickman Concert Hall, Longy School of Music, Bard College. May 19, 2018. Carlos Cordeiro, clarinet. Florida Contemporary Music Festival, Gainesville, USA. February 15, 2018. ELISION, Carl Rosman, clarinet. Belgrade Cultural Center, Serbia. November 24, 2016.